The Samsung Galaxy A20 which was announced a couple of weeks ago has been launched in India today for Rs. 12,490. The handset will come in Blue, Black and Red color options and will be available via Samsung online stores, Samsung Opera House, leading e-commerce portals and retail stores across the country starting April 10. The handset was recently launched in Russia for RUB 13,900 and is an addition to the companies new A series. 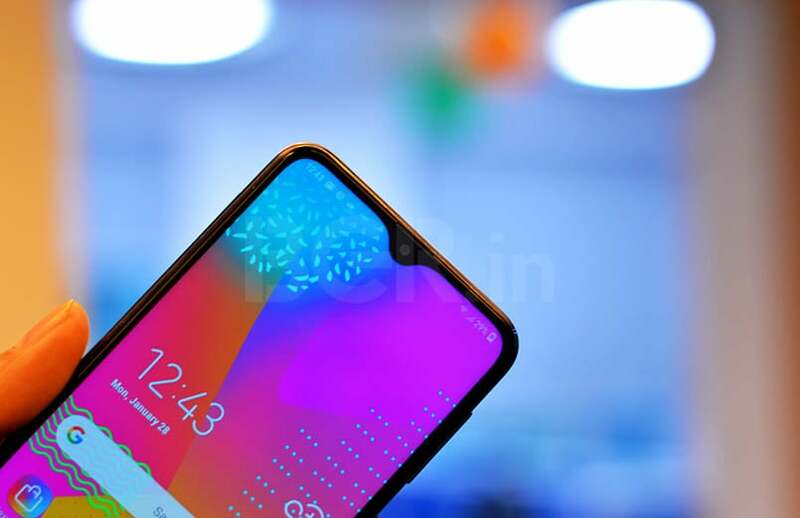 Talking about the device the Galaxy A20 features an 8MP selfie camera with an f/2.0 aperture on the front while on the rear Samsung has provided a dual camera setup on the rear with on 13MP sensor with f/1.9 aperture and a secondary 5MP camera with f/2.2 aperture size. Under the hood, there is an Exynos 7884 octa-core processor (with two high power cores clocked at 1.6GHz and six efficiency cores with a clock speed of 1.35GHz). Furthermore, the handset comes with 3GB of RAM option along with 32GB of internal storage which can be extended further up to a maximum of 512GB via microSD card slot. The smartphone will be featuring a 6.4-inch HD+ (720×1560 pixels) display along with infinity-V notch which houses the front camera in it. Like all the A-series device, even this handset will be coming with 3D Glasstic built. It will be coming out of the box with the latest Android 9.0 Pie operating system with Samsung One UI on top.